Dr. Bono’s broad experience and skill in spine surgery are matched by his courteous demeanor, quickly gaining the trust of patients. It is also no rare occasion that entire families come to see and be treated by him. Dr. Bono completed his medical education at Nova Southeastern University, College of Osteopathic Medicine, Fort Lauderdale, Florida in 1995. He then completed an Osteopathic Orthopedic residency at Botsford General Hospital in Farmington Hills, Michigan. Dr. Bono completed an Orthopedic spine fellowship at the New York Hospital-Hospital for Joint Diseases, New York, NY, thereafter becoming board certified by the American Osteopathic Board of Orthopedic Surgery in 2005. Dr. Bono became a clinical assistant professor at Michigan State University College of Human Medicine in 2016. In addition to speaking English, Dr. Bono can fluently communicate in Sicilian and Italian. 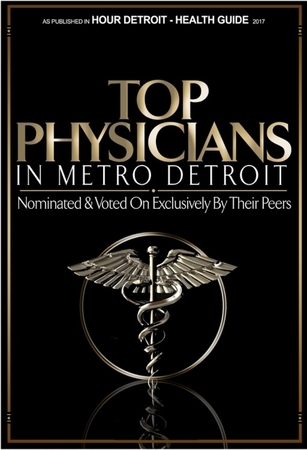 Dr. Bono was elected one of the top doctors in Detroit by the Detroit Hour magazine in 2016. The satisfaction for me is giving people their lives back — giving them the happiness that I have in my life to be able to go out and enjoy the things they want to do.